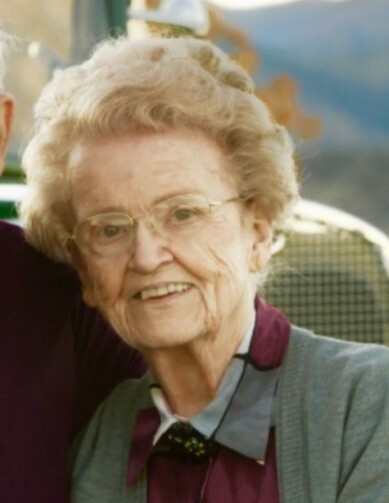 Clara Lou Teeple 89, of Monroe, IN., passed away on Wednesday, March 27, 2019 at her daughter's residence in Loveland, Colorado. She was born in Berne, IN on January 25, 1930 to the late Carl and Myrtle (Potts) Schug. On November 25, 1948 she married the love of her life, James E. Teeple. She was a devote Christian and charter member of the Grace Fellowship Church in Decatur. Clara Lou was known for her hospitality; she had a heart for helping people and expressed that through giving to those in need and sharing her baked goods with many in our community. She retired from CTS in Berne after nearly 30 years of service. Clara is survived by her husband of 70 years, James; one son, James L. (Christina) Teeple of Monroe, IN; four daughters, Anita (Richard) Schultz of Fort Wayne, IN; Linda (Richard) Liechty, and Becky (Gary) Hirschy both of Monroe, IN; Darla (Neal) Adler of Loveland, CO; one brother, Leonard (Elaine) Schug of Fort Wayne, IN., and one sister Lois Christman of Decatur, IN. 11 grandchildren and 20 great-grandchildren. She was preceded in death by an infant son, David E. Teeple and one brother Paul M. Schug. Visitation will be held on Sunday, April 7th from 12:00-4:00pm at Haggard, Sefton, Hirschy & Zelt Funeral Home. Also, one hour prior to the service from 10:00–11:00am on Monday, April 8th. Funeral services will be held at Haggard, Sefton, Hirschy & Zelt Funeral Home on Monday April 8, 2019 at 11:00am, officiated by Pastor Dan York. Burial will be at Ray Cemetery in Monroe, IN. In Lieu of flowers, memorials may be given to the ministry of missionaries Ryan & Andrea Colson, or Pathways Hospice of Fort Collins, CO.